Italian factory Armando Rho was founded in 1930 in Northern Italy, midway between Milan and Como. 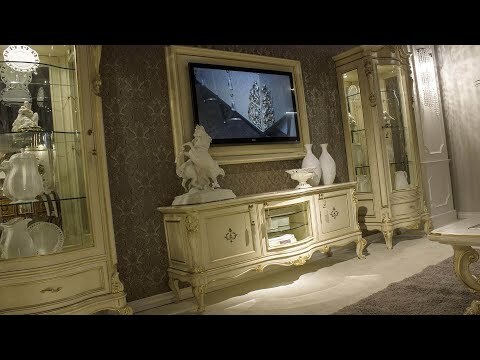 Factory Armando Rho - keeper of native Italian tradition in the production of highly artistic classic furniture. Primarily creating masterpieces in the Classic Italian tradition, they have now added the ability to do work in all styles, custom work, and turnkey interiors. Their production features incredible finishes, gold leaf accents, marquetry inlays, elegant carvings, and beautiful hand decoration. Over the years they have created pieces for us in custom veneers, special finishes, chinoiserie and more. Italian factory Armando Rho works only with arrays of valuable wood (olive tree, walnut, hazelnut Kapoma moire smooth, etc.). Armando Rho is known for its love for the natural beauty of wood. Finishing surface treatment includes multiple special means and varnish for cleaning and depth effects. For upholstered furniture Armando Rho applies luxury decorated textiles: jacquards with traditional reports antique garnet, Damascus, peonies; embroidered with gold and silver satin, silk, tapestry fabrics; velor, velvet. Furniture Armando Rho - is a luxury, style, elegance, grace, and, of course, durability.